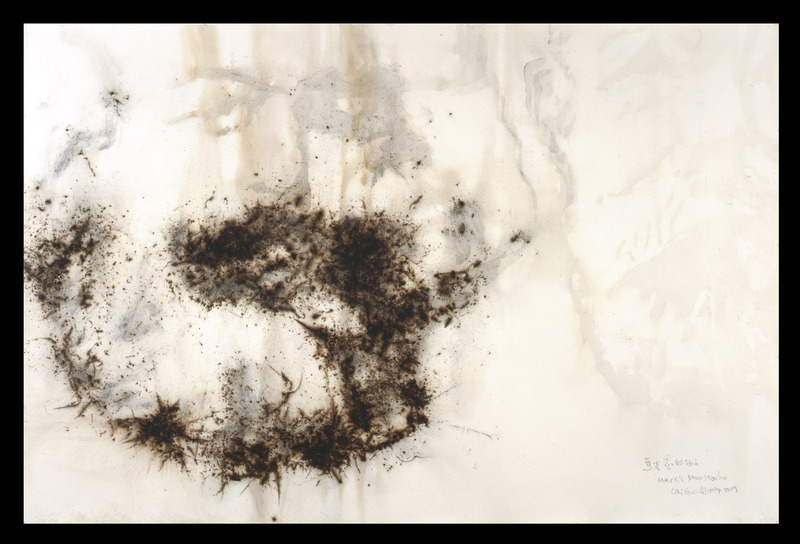 On October 7, 2012, Sotheby’s will auction Cai’s gunpowder drawing Marx’s Mustache (2009) as part of the Hong Kong Contemporary Asian Art sale. 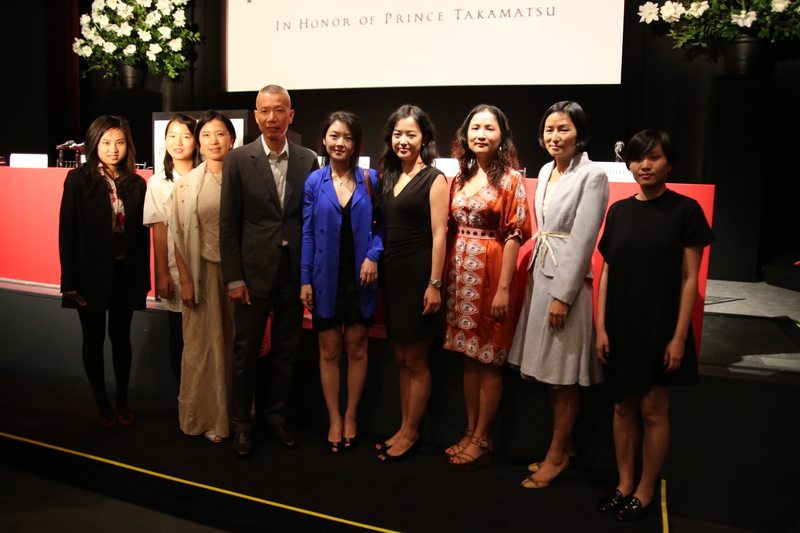 Proceeds from the sale will go to create the Asian Cultural Council’s Cai Fellowship, which will help two emerging artists from China participate in a six-month residency to the United States, annually. 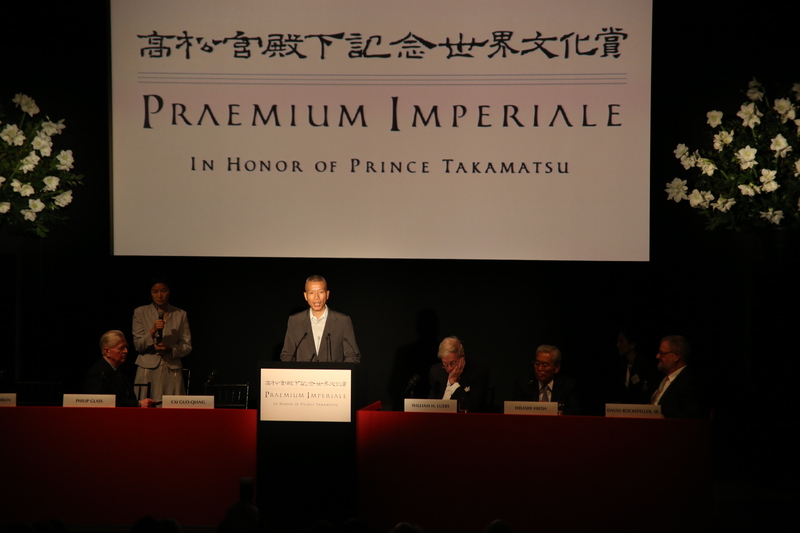 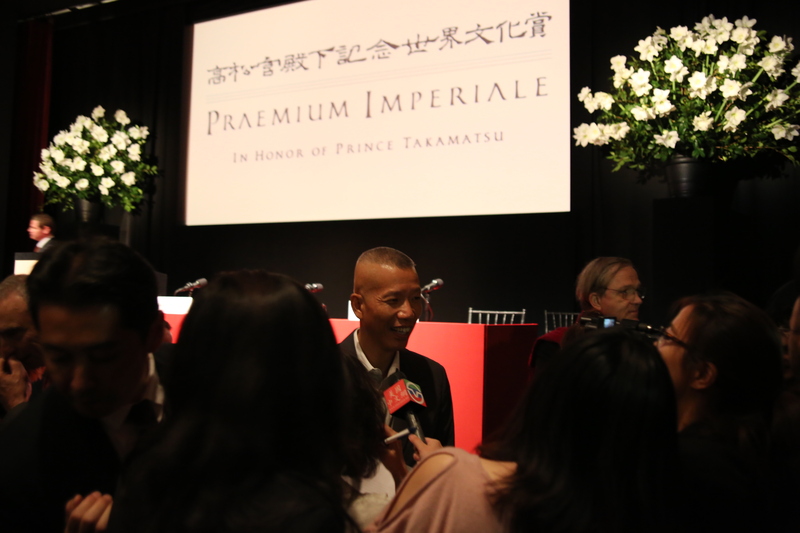 Cai himself is a recipient of an ACC grant, which allowed him to come to the United States in 1995 and create his signature series The Century with Mushroom Clouds: Project for the 20th Century. 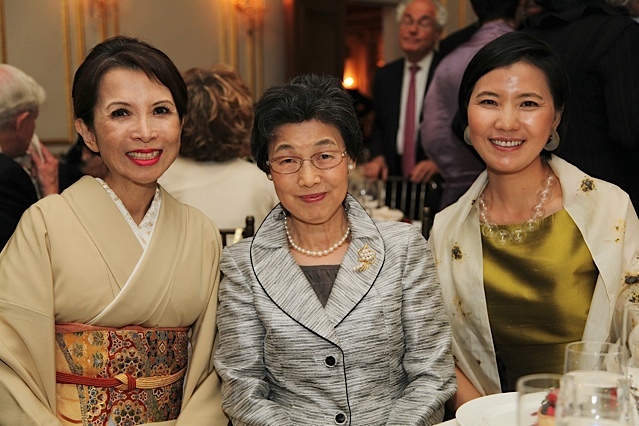 From left: Cai Guo-Qiang, studio staff member Chinyan Wong, daughter Wen-You Cai, and wife Hong Hong Wu, Metropolitan Club, New York, 2012. 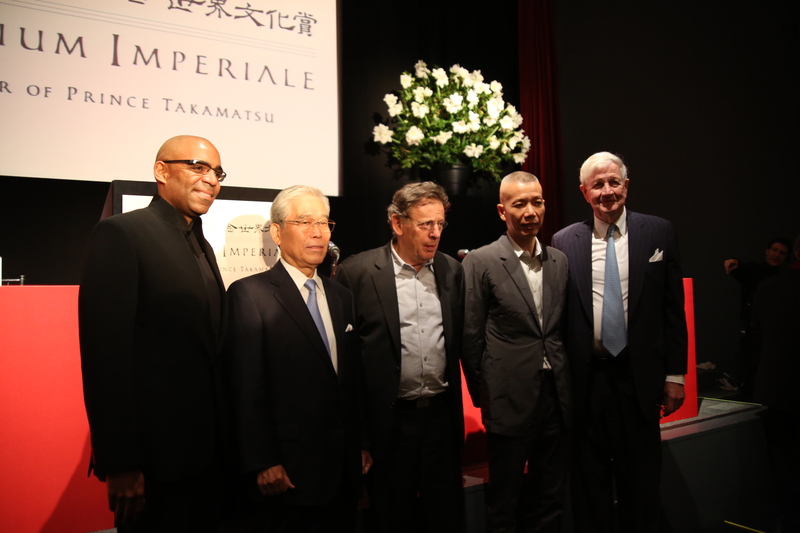 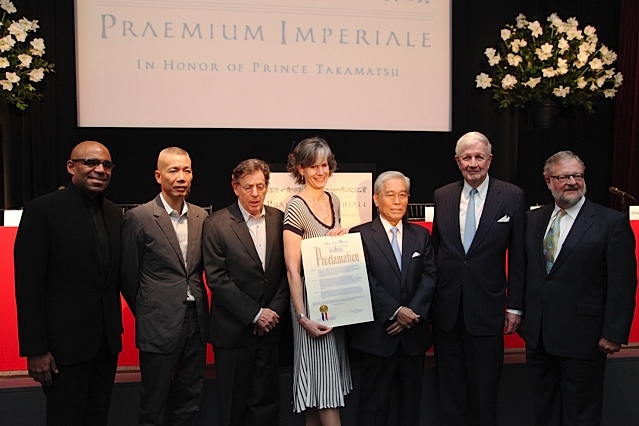 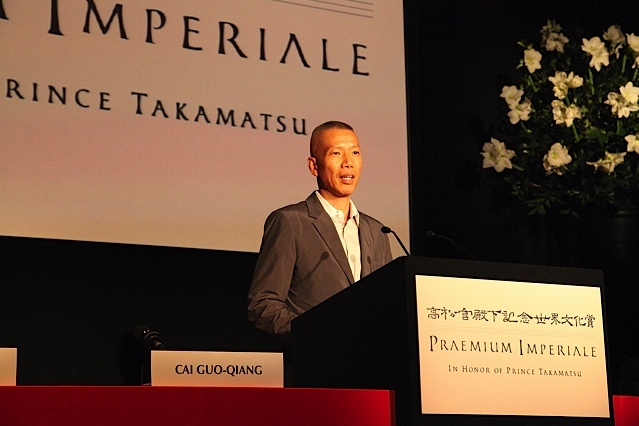 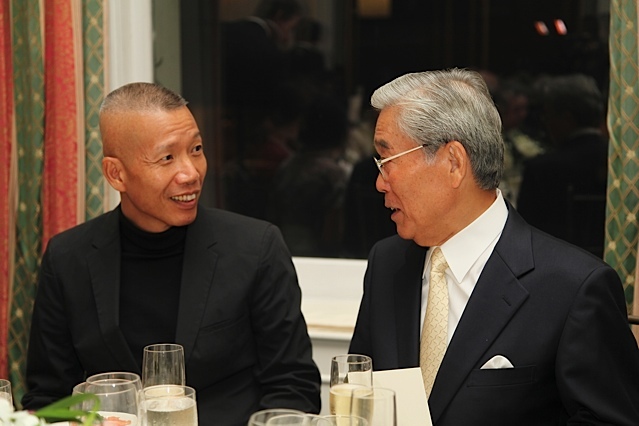 Cai Guo-Qiang with Hisashi Hieda, Chairman of Japan Art Association, Metropolitan Club, New York, 2012.